I've been taking a CreativeLive class called Between the Lines and it is SO GOOD. You can find this list here if it's too small to read on your screen. I've listened to the first nine so far and every single one has been fascinating. Those nine include authors I already know and love, and others who are new to me. I cannot wait to dive into their works. In addition to talking about their books, the authors have shared very interesting details about their former lives as publishers, book jacket designers, actors, lawyers, journalists, and more. The cost for this class? Nothing. It is free. If you are a reader, a writer, and/or a lover of story, I strongly encourage you to sign up for the class. 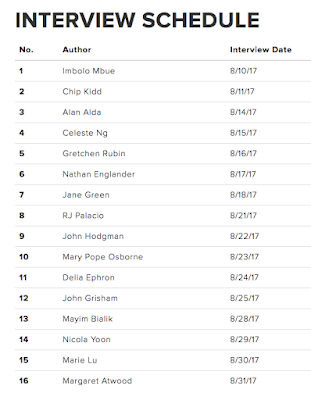 If you don't have time to listen to all 16 interviews, sign up anyway and listen to just a few... though I think once you do, you'll make time to listen to the rest! Already taking the class? 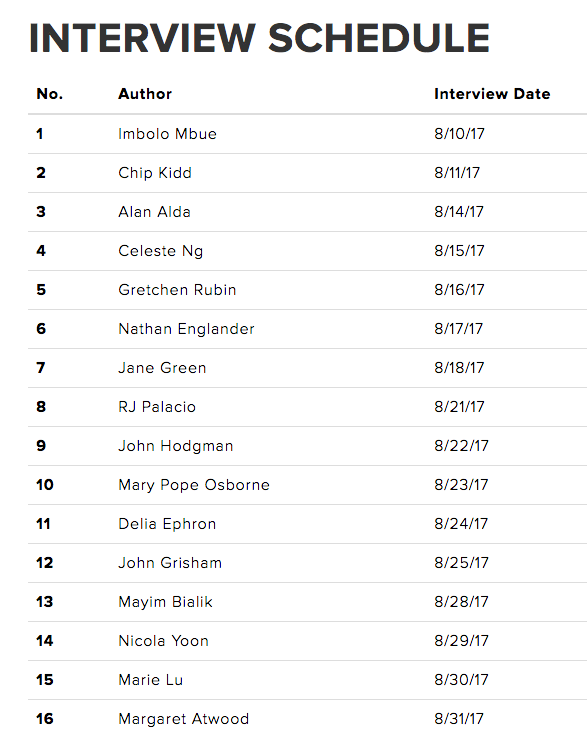 Let me know which interview(s) you've enjoyed the most or tell me how you would answer the questions in the speed round. I've been thinking about my answers! Wow!! Sounds like great classes!! I am surprised to see Amy Farrah Fowler (I know that's her character name, but it is easier to spell than her real name! LOL!) on that list! I know she is a doctor, will have to check out her class!